The city of Margate is found in Broward County, Florida. It has a population of about 56,000 residents and it's a part of the larger Miami-Fort Lauderdale- Pompano Beach Metro area, which as a population of about 5.6 million residents. Along with the regular population, the area attracts millions of visitors every year due to the many attractions and popular beaches throughout the area. With so many visitors and a large population, the major roads become rather crowded with different driving styles. Margate is found near Florida's Turnpike and not far from Interstate 95. I-95 is known as one of the most dangerous highways in Florida and in the United States. Over 180,000 vehicles travel on I-95 every single day. The many beaches and attractions found throughout the Metro area bring a number of drivers to the area unfamiliar with the roads. Broward County averages about 26,000 traffic accidents even year with many leading to injuries and about 200 fatalities. Traffic accidents in Broward County and Margate, Florida are on the rise. Can you imagine how many accidents would happen every year if the authorities didn't monitor the roads in the area? For the year 2015, just shy of 200,000 traffic citations were given out by the authorities. These citations include nearly 96,000 for speeding, more than 18,000 for careless driving and more than 15,000 for running a red light or through a stop sight. These offenses are the leading causes of traffic accidents and only represent the drivers actually caught. The State of Florida has the right to suspend your driver's license if you become a habitual offender of the traffic laws. It only takes a few tickets to end up with a suspended license. It's easy to see how the points can add up fast if you get multiple tickets in a short amount of time. Drivers receiving 12 points of tickets in 12 months will face a 30-day suspension of their license. A driver getting 18 points in 18 months will face a 90-day suspension and a driver getting 24 points in 36 months will face an entire one-year suspension. Not only will you have to deal with a suspended license, but you will also have to pay the tickets, the reinstatement fee and higher car insurance rates. 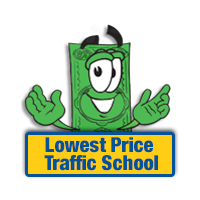 Traffic school online offers a basic driver improvement course, which will allow you to keep points off your license. Not only will this help you avoid a suspension, but it will also keep your insurance rates from going up. The first step is to pay your ticket with the clerk of the court and let them know you will be attending online traffic school. Then, enroll in the basic driver improvement course and complete the work. You will receive a certificate of completion, which you will need to turn into the clerk of the court. After it has been processed, you will not have to deal with any points on your license or your insurance rates going up. 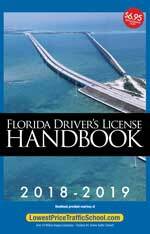 As a resident of the State of Florida, you get to take the basic driver improvement course up to five times to avoid points from going on your license. You do have to wait 12 months in between each time you take the course, however. As long as you haven't attended traffic school in the past year or already used up your five opportunities, you should be eligible. Traffic tickets issues throughout Broward County, including Margate, are processed by the Broward County Clerk of the Court, regardless of the branch of law enforcement issuing the ticket. When you pay your ticket, make sure to let the clerk of the court know you will attend traffic school. If you have any questions, the clerk of the court will answer them for you, as well. You can find out more information about the Broward County Clerk of the Court by visiting their website.